Increase the NUMBER of EFFICIENT MITOCHONDRIA (the ENERGY-PRODUCING BATTERIES of the cell) by stimulating “mitochondrial biogenesis-” Your cells need to get rid of large, inefficient mitochondria (from age and/or toxin poisoning) and replace them with smaller, more efficient mitochondria. 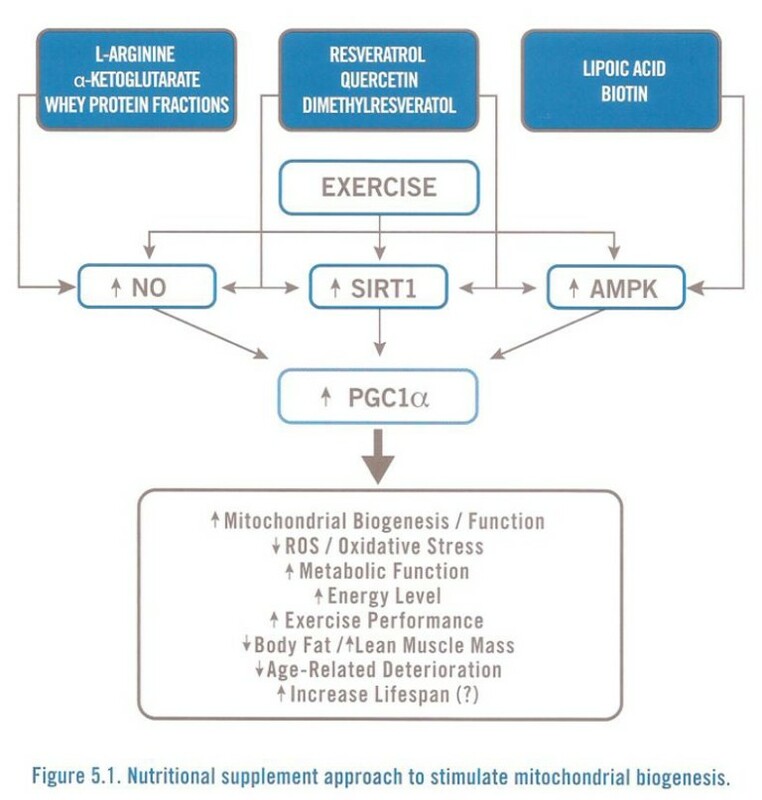 Exercise and choose from the above nutrients to stimulate PGC-1a: The”master regulator” of mitochondrial biogenesis. 4 Decrease CD38 to increase cell energy. 5 Melatonin has multiple beneficial effects on your mitochondria. Take 300 mg/day of CoQ10. The scientific literature is now filled with studies documenting the therapeutic power of CoQ10 to limit degenerative disease by boosting mitochondrial health and bioenergetic (energy-producing) capacity. Take 10-20 mg/day of PQQ (Pyrroloquinoline Quinone) that increases PGC-1a, and which activates genes that govern mitochondrial reproduction, protection, and repair. PQQ also affords potent cardioprotection and optimal defense against neuronal degeneration. Take 500 mg/day of Quercetin to increase your mitochondrial PGC-1a. 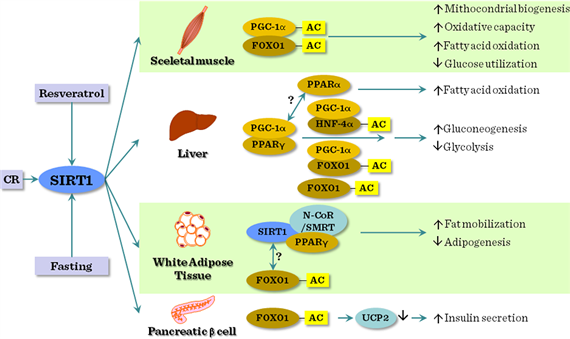 Quercetin increases the enzyme NQO1 which reduces the breakdown of PGC-1a. with Elysium’s “Basic”: The science demonstrates that these ingredients, Nicotinamide Riboside and Pterostilbene will increase cell NAD+. : More NAD+ in the cell means more energy for the cell to dispose of inefficient mitochondria and build smaller, more efficient mitochondria. Decrease CD38 to increase cell energy. Reducing the energy expended on this energy-expensive process allows more energy for these other repair processes. CD38 is a very inefficient enzyme and consumes as many as 100 NADs for every one cyclic-ADP-ribose that it makes. For this reason, some experts on CD38 feel that the #1 function of CD38 is to regulate cellular NAD levels. A strong argument for this theory is the recent discovery that CD38 is found inside the cell as well, bound to membranes on the inner portion of the cell nucleus. Here it could deplete nuclear NAD. Interestingly, the apple skin-derived flavanoid, apigenin, is a powerful inhibitor of CD38. Treatment of cell cultures with apigenin increased NAD levels in the cells, reduced global acetylation of proteins, and reduced the acetylation of p53 and RelA-p65 subunits of NF-kB. Reference: 2012 Flavonoid apigenin is an inhibitor of the NAD+ ase CD38: implications for cellular NAD+ metabolism, protein acetylation, and treatment of metabolic syndrome. Melatonin has multiple beneficial effects on your mitochondria. Take 3-5 mg of Melatonin at bedtime. Melatonin permeates cell membranes and scavenges the ROS (“free radicals”) in the cell cytoplasm, mitochondria and nucleus. In the cytoplasm, melatonin maintains GSH homeostasis. Melatonin also regulates the expression of anti-oxidant enzymes, such as glutathione peroxidase (GPx), glutathione reductase (GRd) and superoxide dismutase (SOD), and downregulates pro-oxidant enzymes, such as the NOSs, particularly the iNOS. Melatonin is accumulated in mitochondria at high concentrations, where it scavenges ROS and RNS. Melatonin also protects cardiolipin from oxidation and prevents respiratory chain complexes, as well as mtDNA from free radical attack, thus ultimately protecting the membrane permeability transition (mPT) pore, thus preventing cell apoptosis. 3. Take EXTRA Vitamin C and Pycnogenol. 4. Learn to separate activities that produce large amounts of free radicals. For instance, separate eating from exercise. or a multi-antioxidant and multi-mineral combination. –as these are graded by how well they neutralize the free radicals from a meal–Especially with high protein or high fat meals. Or use high ORAC supplements such as Optiberry or Purple defense.